﻿ Riad Laaroussa Fes. JIMAT di Agoda.com! Ada soalan mengenai Riad Laaroussa? Sama ada anda melancong atau ke luar kawasan kerana kerja, Riad Laaroussa merupakan pilihan penginapan hebat ketika melawat Fes. Dari sini, tetamu boleh menikmati akses mudah kepada semua yang bandar meriah ini boleh tawarkan. Pelawat yang datang ke hotel boleh melawat tarikan utama di bandar ini seperti: Massage Maroc, Dar Ba Mohamed Ben Chergui, Funduq Tazi. Kemudahan dan perkhidmatan yang disediakan oleh Riad Laaroussa memastikan penginapan yang menyenangkan bagi para tetamu. Tetamu hotel boleh menikmati kemudahan seperti Wi-Fi percuma semua bilik, Wi-Fi di tempat awam, tempat letak kereta, khidmat bilik, pengangkutan lapangan terbang. Semua penginapan bagi tetamu menawarkan kemudahan yang difikirkan dengan teliti bagi memastikan rasa selesa yang sukar ditandingi. Hotel ini menawarkan banyak peluang rekreasi yang unik seperti spa, rumah urut, taman, bilik wap. Riad Laaroussa merupakan tempat yang ideal bagi penginapan pelancong yang mencari keindahan, keselesaan dan kemudahan di Fes. 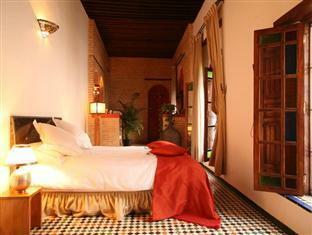 We had a lovely 4-night stay in Riad Laaroussa, whilst visiting our son who is studying in Fez. 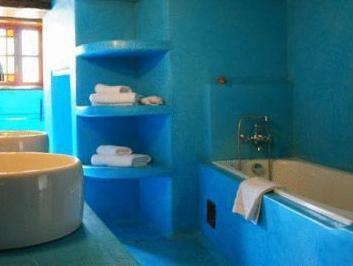 The hotel is excellent in all respects and the staff are especially friendly and helpful. 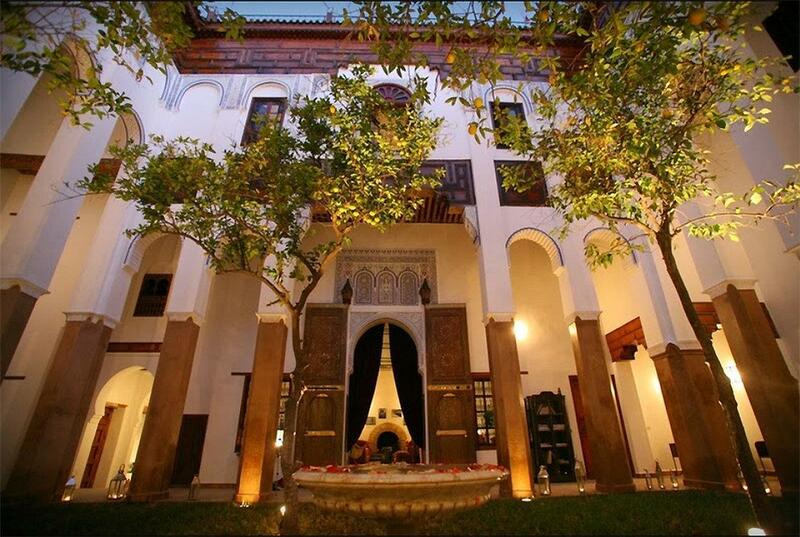 I would thoroughly recommend this hotel to anyone visiting Fez. Clean confortable room, great food in the restaurant. Friendly and helpful staff all over. What an amazing place! Such a refuge from the hustle and bustle of Fez, the family were the loveliest, most welcoming hosts we've ever stayed with. We spent days by the pool and exploring the beautiful property. I'd go back to fez just to say here! 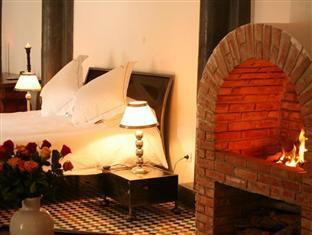 I booked two nights at Laaroussa after just 10 minutes of hotel research for Fez because of its glowing reviews. No regrets! And I shall add another. Friendly staff Rajae, Karim, Anwar and Mr Porter - they were ever so helpful. Fatima, the chef - oh my, best meal I had in Morocco for sure. I don’t like lamb and I finished every bit of her lamb tagine. 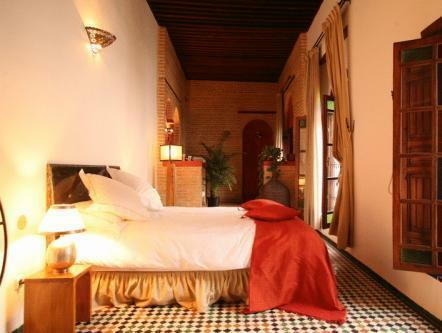 The riad is gorgeous, the owners have preserved the original design. The whole experience is a highlight of my trip to Morocco. 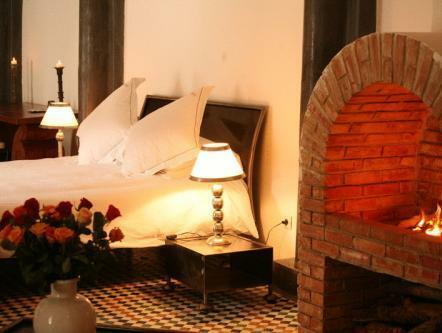 If I live in EMEA, I’ll be happy to fly into Fez and stay at Laaroussa for weekend getaways. Alas, I don’t. 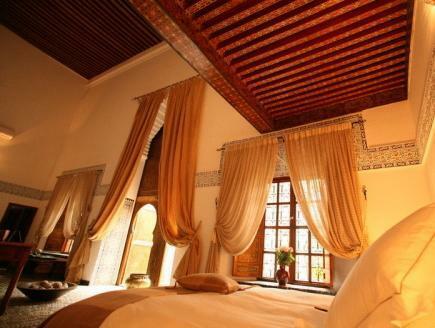 What a gorgeous riad! Lovely furnished rooms and friendly welcoming staff, you couldn't ask for more. (Make sure you are able to climb steep steps.) The local owners have done a fantastic job renovating this old building to it's original charm and beauty. A dip in their refreshing lap pool is a nice way to end a busy day. Thank you to all the staff as well as Cathy and Fred! 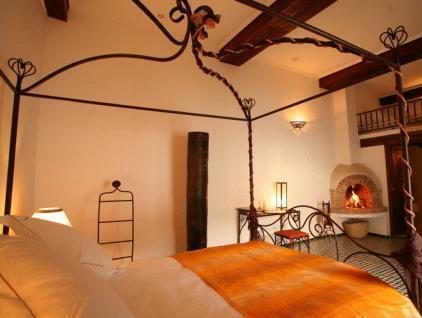 One of the most beautiful hotels I have seen, a bit overpriced... Enjoyed this great hotel, it is so beautiful. Staff very friendly, location is good. No TV or phones in the rooms, which is fine, but if you need it, look for other place to stay. I have asked for a morning call, but the guy who was suppose to wake me up, forgot it. Booked a taxi early morning, to get to the airport, taxi was 20 minutes late. Dinner for 35 Euros in the hotel, had high expectation, but it was a bit disappointment. The food was very good, but very much overpriced !!! 3 samosa, a chicken dish and a regular cake as desert, for 35 Euros, that is even expensive in Japanese standards. Breakfast was o.k There was no yogurt or anything like that, so that would have been nice to have some, but verity was o.k Would love to stay there again, just wish they improve those very few things. This place is truly beautiful. Tucked away from the busy streets but so entirely located. The staff here are wonderful and incredible people. Our stay here was the perfect way to end our trip in Morocco. We stayed on the beautiful orange suite which opens up onto their beautiful central garden. We had massages which were divine and had dinner on their rooftop whilst the sunset. A truly amazing experience, would HIGHLY recommend. Charme de Riad dentro da medina. Funcionários muito atenciosos. Quarto espaçoso (suite green).